How Sticky Is Membership on Facebook? Just Try Breaking Free! Please read all the instructions that follows when you click the button for permanent deletion below. Click here to delete your account. Feeling groovy? Go to the expert page. In response to difficulties faced by ex-Facebook members, a cottage industry of unofficial help pages devoted to escaping Facebook has sprung up online — both outside and inside the network. “I thought it was kind of strange that they save your information without telling you in a really clear way,” said Magnus Wallin, a 26-year-old patent examiner in Stockholm who founded a Facebook group, “How to permanently delete your facebook account.” The group has almost 4,300 members and is steadily growing. As always, this site (or the original Facebook group) is quoted! Facebook responded this week to user complaints that it's virtually impossible to delete an account from the social-networking Web site. A Facebook group with 10,000 members had been advocating for a simple way to delete an account. "Ever tried to leave Facebook and found out they only allow you to 'deactivate' your account? All your personal data, including photos, interests, friends, etc., will still be saved indefinitely! You don't have to be a conspiracist to find this quite fishy (or simply annoying)!" a group message says. "It's like the Hotel California," Nipon Das, a director at a biotechnology consulting firm, told The New York Times. "You can check out any time you like, but you can never leave." Leaving the Facebook social network is not easy. Kate Raynes-Goldie, a Canadian researcher, decided to do last October. "I realized that I was learning so did my friends through Facebook, instead of talking with them," he explains. Delete your account was a nightmare. I still do not know if you've been able to do at all. First, users who wish to unsubscribe can "deactivate" your account. "But the job is like a limbo," says Raynes-Goldie. In fact, when someone "off" the account, the profile is still in the Facebook database. You can receive advertisements and invitations to events. But in reality no one can see the profile, except for the company. Basically, it tries to hide the information. The social networking site offers a "deactivate" feature, but still archives all of a user's personal information in case that user decides they miss Facebook and want back in. Frustrated members turned to groups on the site to complain (where else?) and get advice on unofficial processes for deleting their accounts. 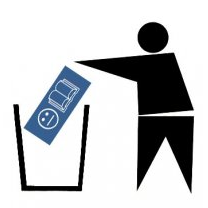 Today Facebook made account deletion a tiny bit easier. Facebook decided not to provide a mechanism for users to delete accounts themselves, but says that it is keeping the situation under review. "We are measuring the effects of the change we made yesterday, and if we think more needs to be done to improve the user experience for deleting an account, we'll test different implementations and measure them accordingly," says Katie Geminder, director for user experience and design at Facebook. Geminder explains that many users who deactivate their accounts later return to the site, so it is in their interest to retain their Facebook data. "On any given day, the number of users reactivating their accounts is roughly half of the number of users deactivating their accounts," she claims. Remove your digital “footprints” from Facebook. Whether you call it a bug or a feature (or a neo-con conspiracy), there’s no doubt that closing and deleting a Facebook account could be made a lot easier. While it’s simple enough to de-activate your account on the social networking site, doing so won’t remove your data. Instead, all of your personal information (photos, blog posts, friend networks etc) remain stored on Facebook’s servers by design, in the vain hope that exiting members will one day return. The most trusted source of information since 2007, please support our Facebbok page.